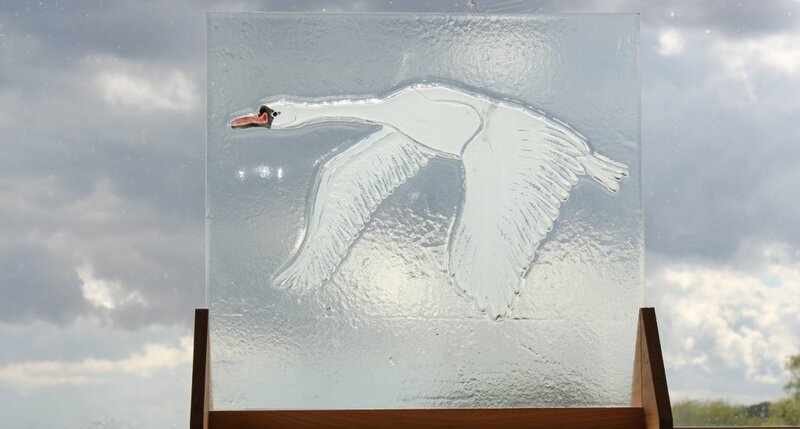 Large glass panel of a flying swan from a set of three. This type of glass is suitable for indoor or outdoor use. Alternatively it can be used as an installed glass panel in a window or door.